The Natural Feeling Manual Breast Pump allows you to express milk in an effective and gentle way. the soft silicone and special texture of the pump body ensure a soft and delicate contact with the breast skin. 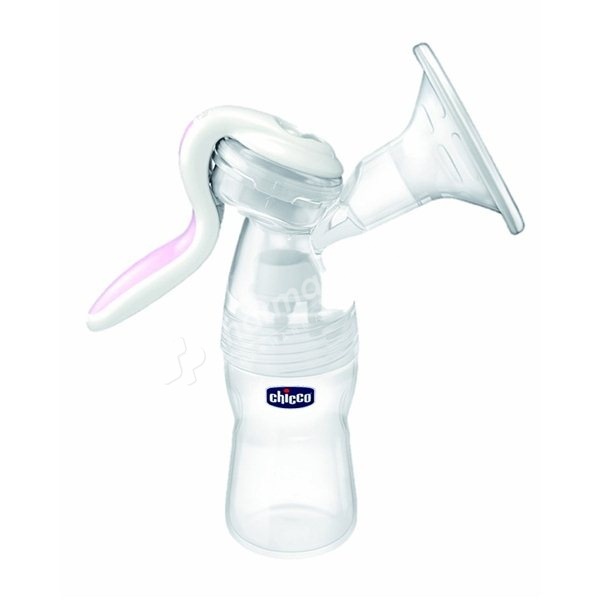 The Natural Feeling Manual Breast Pump allows you to express milk in an effective and gentle way. Effective and gentle expression: The innovative Chicco System makes expression even easier ensuring a natural flow. Maximum comfort: The ergonomic handle with soft covering ensures simple use, easy grip, and no fatigue. Maximum delicacy: the soft silicone and special texture of the pump body ensure a soft and delicate contact with the breast skin. Compatible with Chicco baby bottles : Step Up New and Well-Being.